Scientist Katharine Hayhoe answers burning questions about global warming, and explains why everyone - yes, everyone - can care about the issue. 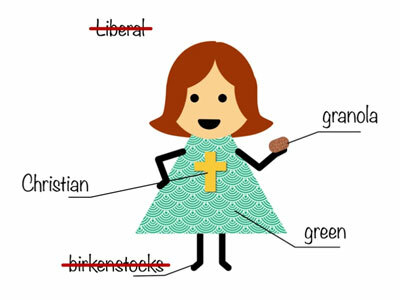 Here’s one insidious myth about climate change: the idea that to care about the issue, one must be a green, granola-eating, Birkenstock-wearing liberal. Then, in one of the series’ early funny moments, Hayhoe reveals the truth: “I’m Canadian.” Cue to “O Canada,” the Canadian national anthem! Hayhoe then adds that she’s a Christian, and she attends an evangelical church pastored by her husband. Hayhoe is a gifted communicator, so the series will likely be valuable to educators, religious groups, and others who are looking for snappy and authoritative background on the subject. “Global Weirding” series is produced by KTTZ Texas Tech Public Media and distributed by PBS Digital Studios, and plans are for it to air new episodes on YouTube every other Wednesday. With permission from Hayhoe and her colleagues, Yale Climate Connections is reposting those she has done so far and also her future episodes.